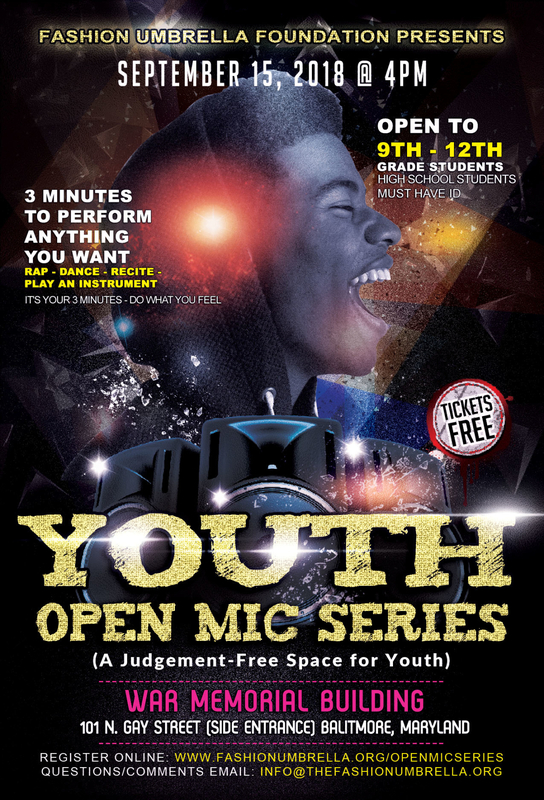 The Fashion Umbrella Foundation is proud to present and introduce its Youth OPEN Mic series for students in grades 9 - 12. 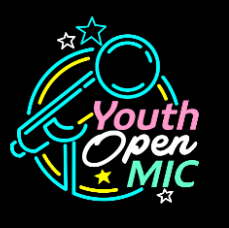 During the Youth OPEN Mic series, WE believe in the sanctity of performing in a judgement-free space and WE believe in the dignity and respect of all persons, in all places, ALWAYS. The Youth OPEN Mic series will create an environment without hate or prejudice, allowing students to feel accepted and expressive. Each student will be given 3 minutes to perform an aspect as it relates to the arts such as a recital, cipher, dance, or even playing an instrument. If it's ARTISTIC we have a platform if it can be expressed in 3MINUTES!!! MUST HAVE SCHOOL ID. Registration open to high school students grades 9 - 12.